Start a new family tradition and make plans now to stay this Thanksgiving at the Wilderness! From our popular Double Queen Sofa room to our beautiful and spacious 5 Bedroom Entertainment Cabin, we have many great lodging options to choose from. NEW THIS YEAR, we’ve moved our bountiful Thanksgiving Day Buffet to our Glacier Canyon Conference Center! You won’t want to miss it. Reservations for this dinner are highly recommend. 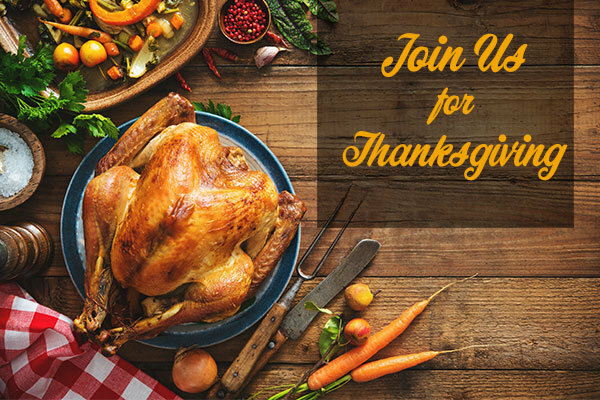 Book Your Thanksgiving Stay Today!